Marketing mostly takes place on digital platforms these days, but some organizations are beginning to figure out that such efforts are most effective when they exist within multiple channels. Traditional print marketing is proving to have lasting power, as consumers are inundated with information from digital retailers and advertisers on a constant basis. This perpetual stream of information targeted at the masses – rather than specific demographics, in many cases – can actually open up new opportunities for generating brand recognition through print campaigns. Print marketing has largely been overlooked, so the companies that do choose to convey their messages via the platform are more likely to stand out among their peers than email senders might. Entrepreneur contributor Mike Tinz wrote that there are many facets that compose a marketing campaign – public relations, advertising, content production, social media and so forth. He recommended organizing meetings frequently between members of these teams, since they will each need to know what the others are working on in order to maximize the impact of branding initiatives. The organization should employ a similar voice throughout all its messages. There is no one-size-fits-all solution in terms of developing appropriate marketing strategies, and this is especially true when thinking in terms of print vs. digital. For example, Australian Business Review writer Laura Close noted that, while online catalogs are substantially cheaper for retailers to produce and distribute, they are far less widely-consumed than their hard copy counterparts and also less likely to produce sales. She advised that companies that can afford to put out both formats should do so in order to expand their reach. Close also stressed the importance of perpetuating a consistent voice or message organization-wide. Developing a memorable logo, slogan or even just a hashtag campaign on social media can set a business apart from its competitors in the eye of the consumer – and that's what this whole "marketing" thing is about, after all. Branding is everything, and establishing a resonant and visible image is imperative. Print marketing can be effective on its own due to its engaging nature, but adding a digital component can spice things up and increase consumer interest, according to Tinz. 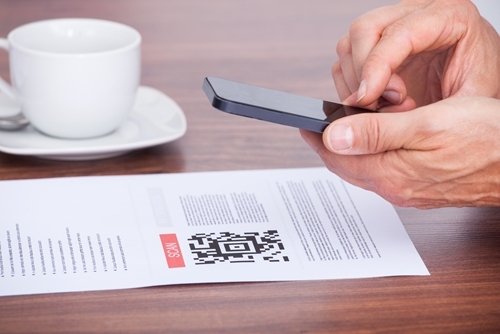 He suggested implementing QR codes – which can be scanned by mobile devices to lead the user to a website, social media account or app containing further information – into print content, as this can draw readers directly to your online offerings. In addition, Tinz pointed out that the use of QR codes can provide valuable insight into the mind of the consumer, as they can track key data that demonstrates ROI and may assist in future marketing efforts. User information like demographics, geographic location and transactions garnered directly from marketing can be hard to come by, so this access to data is a great opportunity. On the subject of user information, Tinz also advised customizing content so that it is tailored to its recipients. Establishing and maintaining relationships with customers is the primary goal of contemporary marketing, and Tinz said that by including relevant information, organizations can appeal to consumers on a more personal level and stand out from the crowd. Direct mail provides a great opportunity to accomplish such personalization through unique messages, the author noted. Applying demographic knowledge and tracking purchasing patterns can help maximize ROI going forward, Tinz argued. This last point is certainly not the least important – Close recommended using visually compelling graphics to engage the audience. No one is going to remember a plain, black-and-white and text-only mailing. It's probably not a stretch to say that most people might throw out such a yawn-inducing piece of marketing without even reading it. Close said that it is possible to avoid such a scenario by grabbing the attention of the reader and, to build upon Tinz's point regarding QR codes, she encouraged marketers to include links or codes that can lead consumers directly to online resources. Print content does not have to be particularly comprehensive – it just needs to draw its targets toward the prospect of seeking out further information. This is where developing a recognizable company image can be a major help in achieving marketing goals.